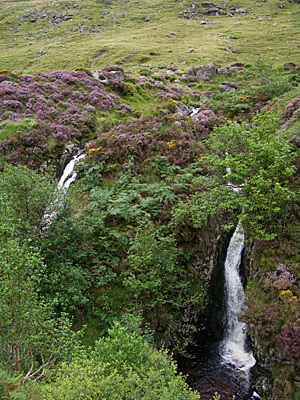 MI hillwalking committee seeks members. Collon hill loop walk and summit. A bush-wackery experience to the trig point of Barranisky. 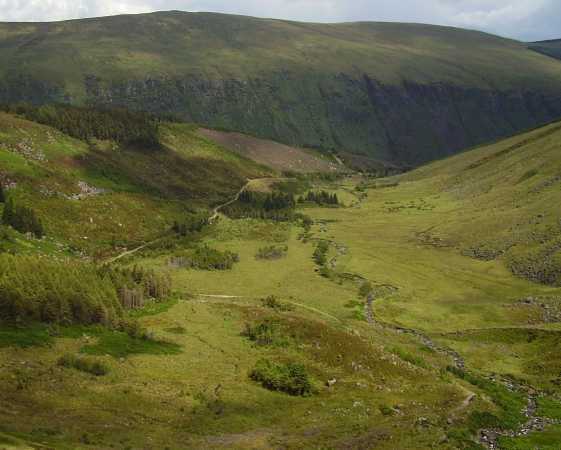 Picture from group : Lugnaquilla from the West, Camarahill to right. Picture: Lugnaquilla from the West, Camarahill to right. A big mountain with many ways up, long range views but hazards. 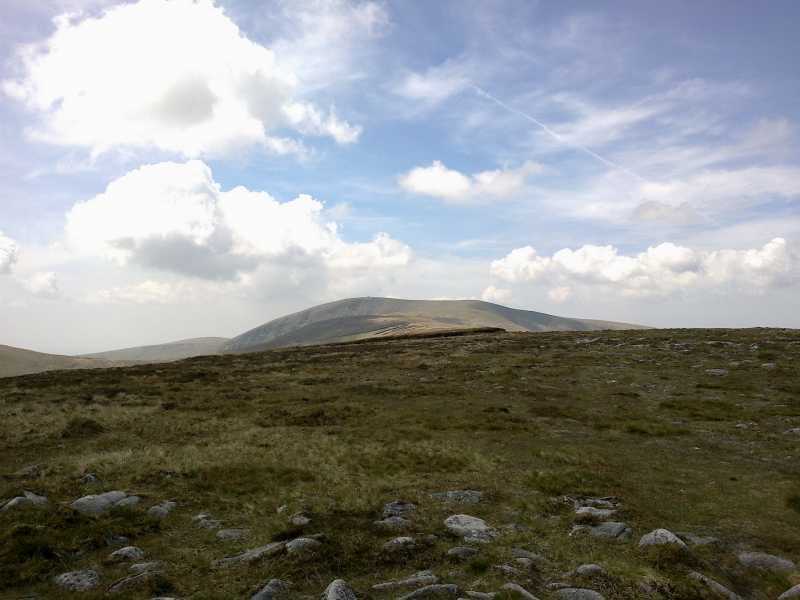 Lug as it is popularly known is Ireland's highest summit outside Kerry. The large summit cairn and trig pillar sit on a fairly flat dryish top with views better distant than near, often surrounded by people and sadly, litter. There are several ways up and some serious hazards particularly in bad weather so map, navigational gear and skill are essential. One way is from the NE, starting at Baravore car park at around T066942 A. From Baravore there are three main ways: straight up the Fraughan Rock Glen, via Camenabologue along the Stony Road, or via Arts Lough and Cloghernagh. Another starting point is from around S984929 B near Fentons Pub. Go straight up the track to Camarahill. Do not deviate because the surrounding area is regularly used as an artillery range, well marked on maps, making this route not always allowed. Another start is from the S at Aughavannagh Bridge T056861 C, following the Ow valley to the summit with variations on the western and eastern ridges. 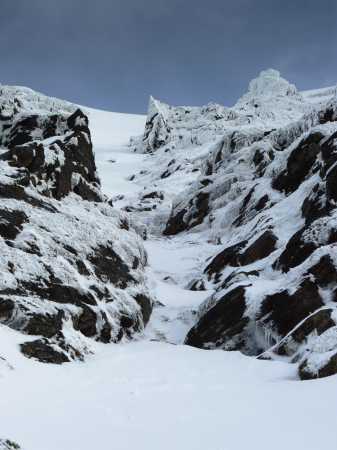 There are also routes via Carrawaystick Mountain and Ballineddan Mountain and some gullies. 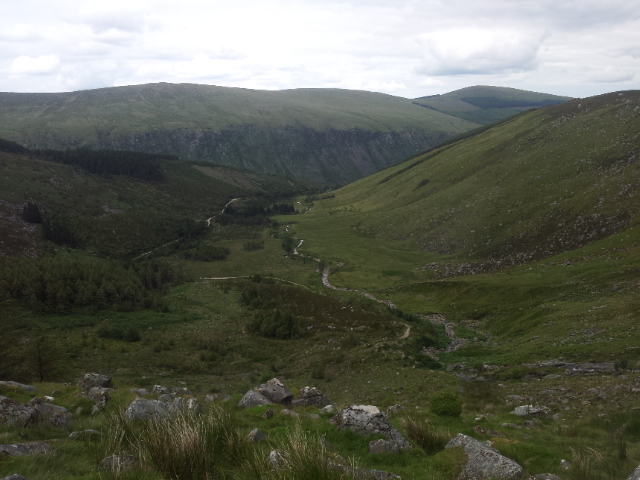 I climbed Lug from Glenmalure side. I start at bridge which crosses the Avonbeg River at the base of the Zigzags. Please use the gates and the marks to guide you… the zigzags are in very good condition. It was used as hunting trail long time ago but now they are renewed and still in use by the local farmers. As the path is still in use and it goes through sheep grazing grounds remember to leave your dogs at home and try not to scare the sheep’s. At the top of the zigzags there are a boggy trails, all of them will lead you to the fence but only one to the stairs over the fence. Please use the stairs and do not damage the fence. When you find the stairs it is pretty straight forward. Keep on the path and everything should be ok. The path which is leading on the top of the Cloghernagh is weary easy to see. On the bad weather it is possible that it is muddy but I had the luxury of a good weather and excellent visibility. From Cloghernagh to Lug the trail is harder to see but in good weather you just take the Lug as your target and go for it… Just be careful on your way back because there are no landmarks to follow so GPS or a map could be vital. I find my bearings using the surrounding mountain peaks.